This Nightmare On Elm Street shirt shows Freddy Krueger surrounded by splattered blood and the skulls of his victims. 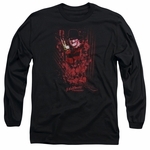 The shirt also shows claw marks made by Freddy's razor sharp glove. 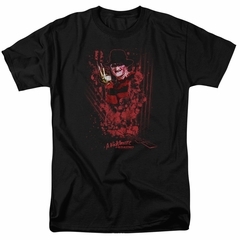 One, two, Freddy's coming for you!